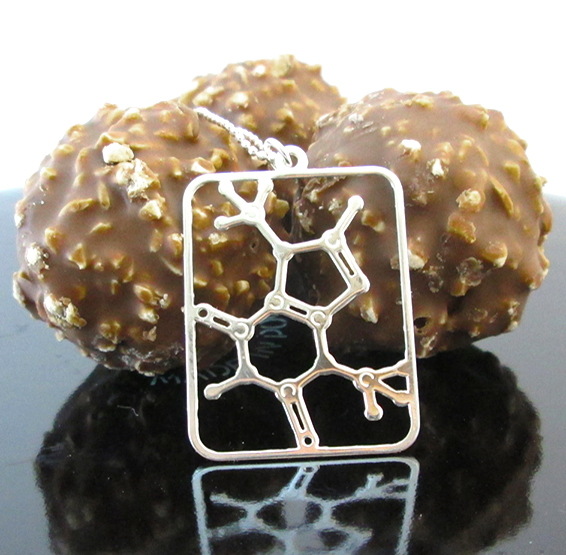 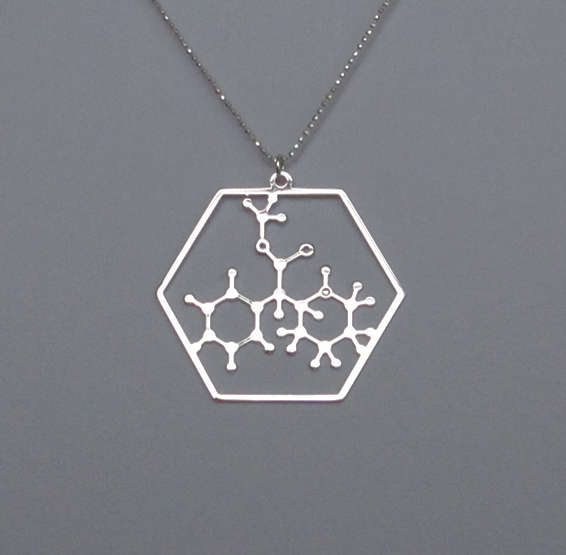 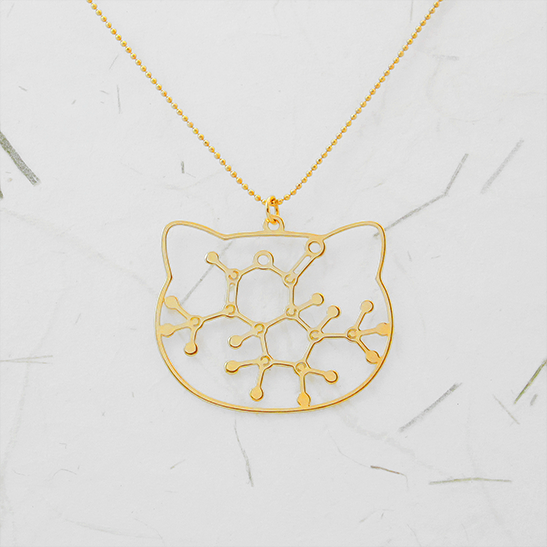 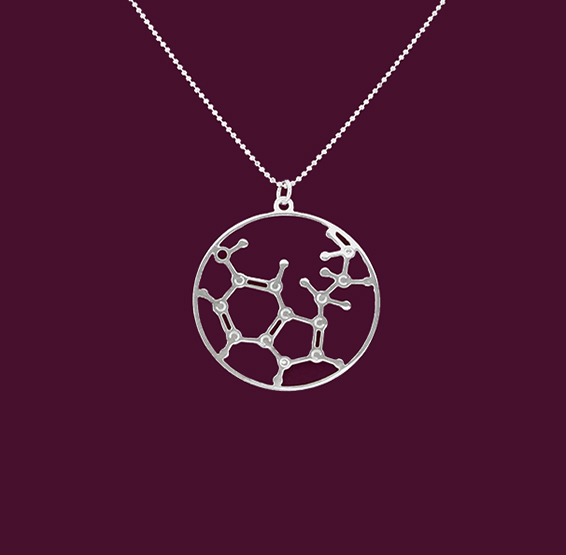 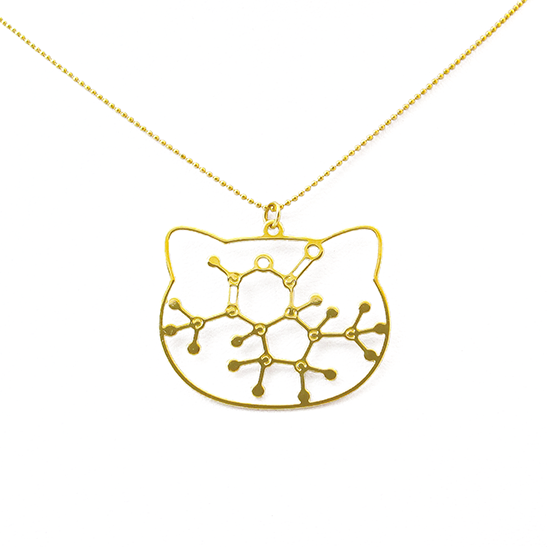 Gold Catnip necklace for the cats lovers and the molecules and chemistry geeks. 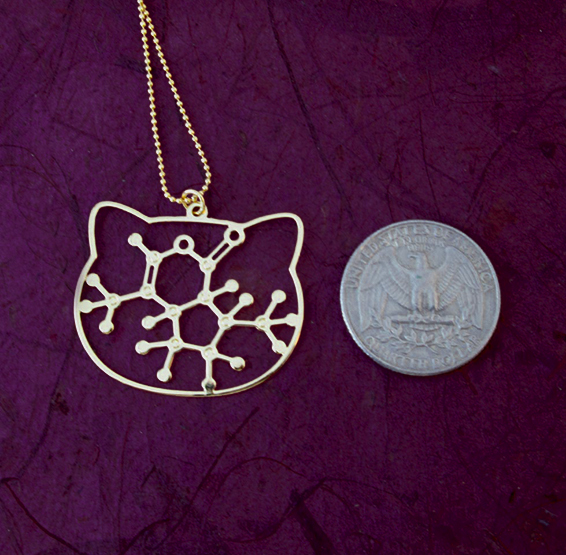 ~1.38" (35 mm) x 1.18" (30 mm) includes a 16" (40.6cm) 24 gold plated chain with a 3" (7.6cm) extension. 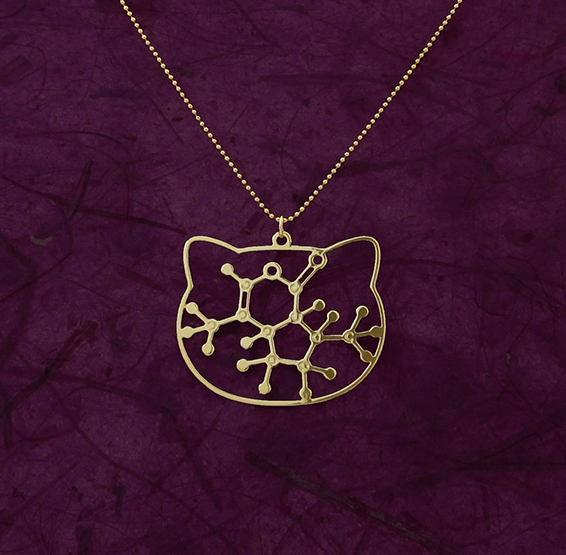 This Catnip necklace is for all the cats lovers! 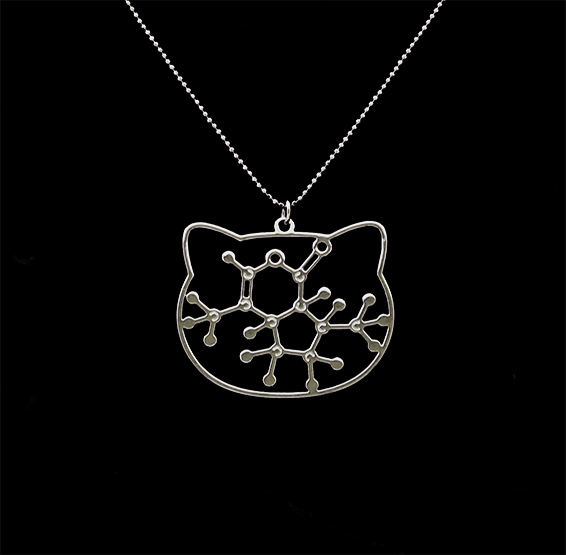 because there is nothing more fun than watch your cat stoned! 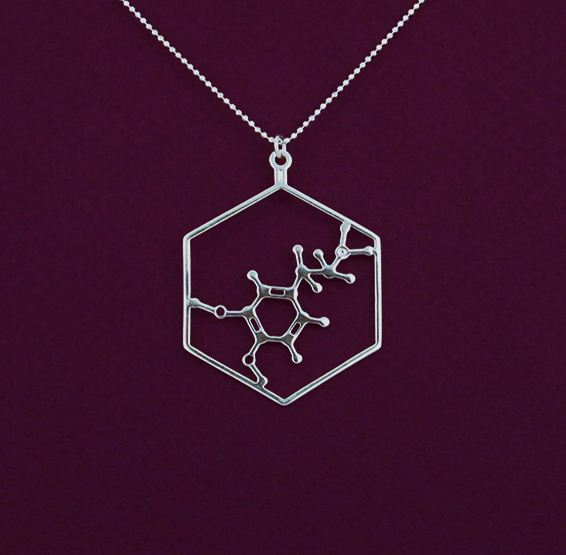 This molecule is also for the chemistry lovers, because hydrogen can look like a moustache! 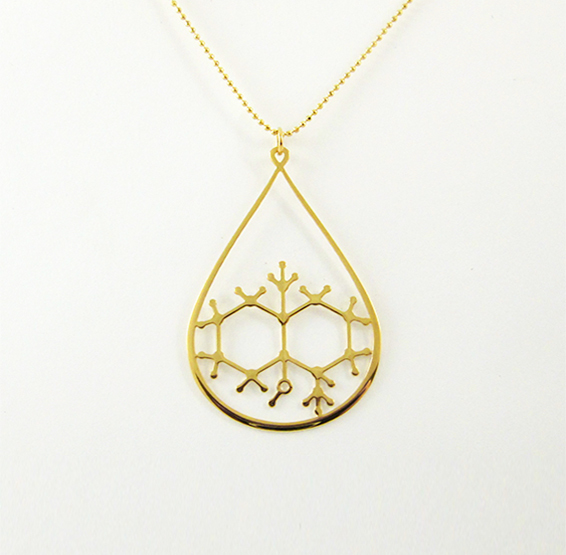 1.38″ (35 mm) x 1.18″ (30 mm) includes a 16″ (40.6cm) 24 gold plated chain with a 3″ (7.6cm) extension.